Follow us and get notified once WeddingEngine launches. WeddingEngine is not live yet but we have received great concern and many emails for trials and partnership. Apparently, we're looking for awesome WE ambassadors who can help us bring WeddingEngine to more loving couples. So if you're interested in romantic ideas and have a significant number of followers, we've been looking for you so long! WE Ambassador Perks Of course, there should always be a great benefit package for those that spread happiness like WE Ambassadors. WE Ambassador Missions Much less work than what you'll get, but hey, our motto is Always deliver more than expected, isn't it ;-). Accomplishing just ONE of these two missions below will certify you as a WE ambassador. If you’d like to be WE ambassador, please send us your info via the contact form. Regarding partnership, we’re currently looking for great hosting and domain services for our loving customers. If you think WE is a good fit with your strategic growth, please contact me at elena@enginethemes.com so we can discuss in more details. 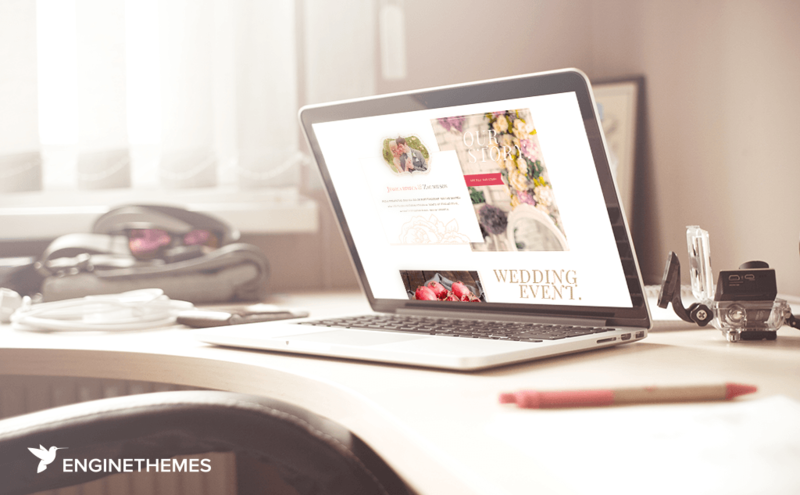 Even if your product is not related with hosting and domain, but you think the couples will need it for their wedding websites, we’re really all ears. Elena Follow us and get notified once WeddingEngine launches.